Also known as “kavala” or “gundusha,” oil pulling is an ancient Ayurvedic dental technique that involves swishing a tablespoon of oil in your mouth on an empty stomach for 20 minutes. It draws out toxins in your body, which improved not only oral health but overall health as well! Always do this as soon as you wake up in the morning on an empty stomach. Don’t brush until after the oil pulling is done. 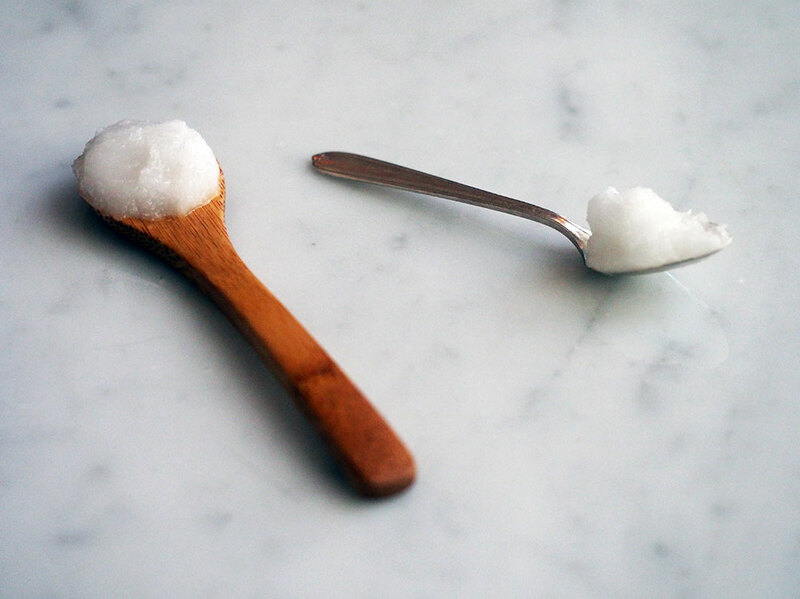 You can choose either sesame oil or coconut oil, however I always pull with coconut because it’s anti-bacterial, anti-fungal, and anti-inflammatory. Optional: add 2 drops of oregano essential oil for supreme microbe-fighting power. Pull the oil through your teeth and swish it around, but make sure to never swallow it – you don’t want to ingest the bacteria and toxins being released from your body. Set a timer for 20 minutes and when finished, spit the oil into a plastic bag or directly into the trash. This is important, because if you spit it down the drain it can solidify in the pipes. 1. Xylitol from Birch Bark – Triterpenes are available from birch bark in significant amounts. Betulin (a triterpene) is derived from the outer bark, along with lupeol and allobetulin. Betulin and related compounds have been shown to have anti-viral activity against herpes simplex virus. (Carlson et al., U.S. Patent No. 5,750,578). Betulin and related compounds have also been shown to have anti-fungal and anti-bacterial activity. Did you know that betulin is an ingredient in Vicks?! That’s why it works so well for everything! Since xylitiol is made from birch bark, which houses these fantastic antimicrobial triterpenes, it too is effective against bacteria, fungi and viruses within the mouth and body. 2. Essential Oils – Essential oils can also greatly improve taste and effectiveness. Peppermint is good for an energy boost both mentally and physically, good for bad breath, headaches and digestive trouble. Oregano is traditionally used to treat toothache so it’s perfect for oil pulling. It’s also good for asthma, parasites, sore throats, and viral infections. Orange is great for low mood, obesity, and purification. Grapefruit is effective for appetite suppressing, hangovers, overeating and weight loss. And finally, Rosemary can be wonderful for candida, circulation, immune system support, liver decongestant, and general aches and soreness. Can i oil pull before bed? Yes, it is something you can do whenever you want.